OTT with Dad's Garage Theatre in Atlanta. As part of the Cox Media Group's Things To Do content, I had the chance to interview the folks at Dad's Garage Theatre Company and take an improv class. At home with Zach Seabaugh from The Voice. Georgia native Zach Seabaugh made a splash on ‘The Voice’ season 9 with his Elvis-like moves. We met him at his Marietta home to talk about his influences, goals and growing up country. The poetry scene in Atlanta has been growing for over a decade and local poets have made it their mission to not only make the local scene more inclusive, but to renew attention to Southern artists. The Braves' first season at their new home in SunTrust Park is officially in full swing. 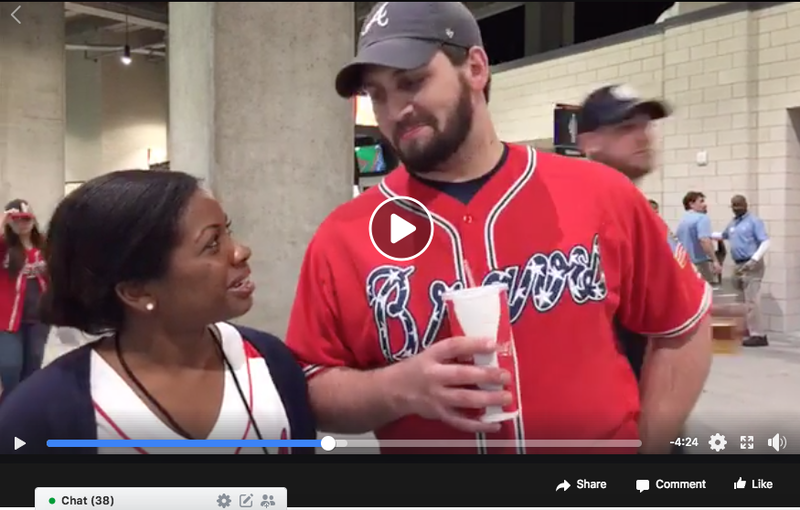 I talk to folks who attended the Braves game and asked what they thought about the new digs. Welcome to part 3 of AJC Sepia’s Year in Review. Today we’re talking about this year’s biggest television moments. Host Kimeko McCoy is joined by commentators Najja Parker and Stephanie Toone to talk about everything from Insecure to She’s Gotta Have It. The Atlanta Falcons made it to the Super Bowl to face off against the New England Patriots. On game day eve, I talk to people in Houston to get a feel for the crowd's energy.